1) I used the foundation and this amazing concealer alone with no moisturizer and added on blush and eye makeup as usual. 2) I applied this face serum and an eye nourisher before the foundation added concealer and finished off my look with blush and eye makeup. 3) I started my routine with a layer of my face serum and eye nourisher then added this Smashbox Photo Finishing Primer on top and finally Smashbox’s foundation on top of that. I used my favorite concealer on top of my foundation (I found it worked better that way) and topped it off with Maybelline Shine Free Loose Powder I’ve been using for the last five years. 4) I used Biossance‘s Revitalizer (review to come soon too!) as a moisturizer, then layered on the photo finishing primer, added foundation and topped it off with concealer. The results? No matter what way I wore this foundation, my face looked and felt amazing! Smashbox Studio Skin 15 Hour Wear Foundation is my ‘IT’ make up product. Call it the holy grail of all holy grail makeup products if you will because this baby is “the one” and has been amazing for those long work days! With past products I’ve used and even the shine free loose powder I love and used by itself, I usually got shiny around 1 or 2pm. Whereas with this foundation, I don’t look like I had an oil rig spill on my forehead. Honestly, I was surprised that the foundation did not feel heavy on my skin. It also didn’t dry out my skin. To top it off, it also didn’t make me oily to a point where I needed to reapply loose powder to keep the shine at bay. One pump is all I need for about a 10-12 hour day and that, my friends, is what I call ah-mazing! In the weeks of using this product, I have not broken out so I’m definitely happy with the results. Dare I say that my makeup routine only takes about 10 minutes now? Yep, this girl is H-A-P-P-Y! I’ve never been able to find a face makeup (for reference, I’m color 3.2) that’s better than the amazing product I reviewed today. To the Smashbox team, do NOT make the same mistake Make Up For Ever did and change your amazing foundation for oily skin formula. If you want to have a different one, KEEP this one and make another one. Sincerely, a loyal customer for life! 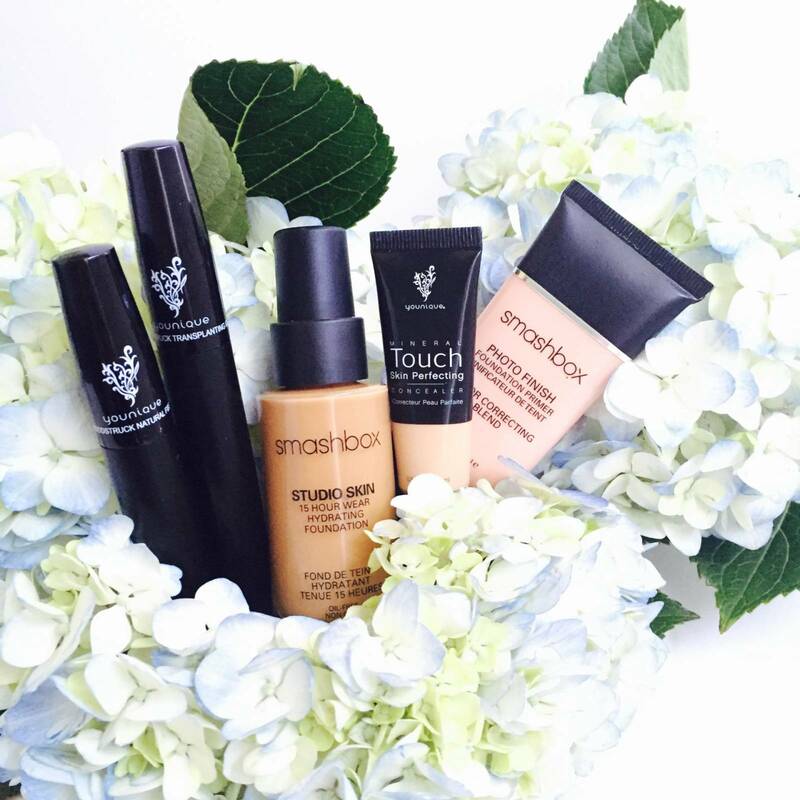 Beauty junkies, who loves Smashbox? What products of theirs do you use? Let me know as I’ve become a huge fan! 3 Replies to "Product Review: Smashbox Studio Skin Foundation"
I tried SmashBox’s photo finish primer awhile ago and didn’t think it made much of a difference! I haven’t tried the foundation before though- I’m a tried and true fan of Josie Maran’s Vibrancy foundation, from Sephora. And ALWAYS with a damp beauty blender!! That was a major beauty revelation! Oh really? I graduated from this primer to Dior Dreamskin! That foundation is great, but I also loveee Diorskin Forever Foundation and Armani Power Fabric! I’ve got to try your suggestion, Natasha! Does it work on oily/combination skin??? Yes! I have oily skin in the t-zone then dry everywhere else and it works really well.